At this year’s CES, Razer introduced Project Linda, listed as a concept, but a concept we hope to see make its way to the market quite soon. 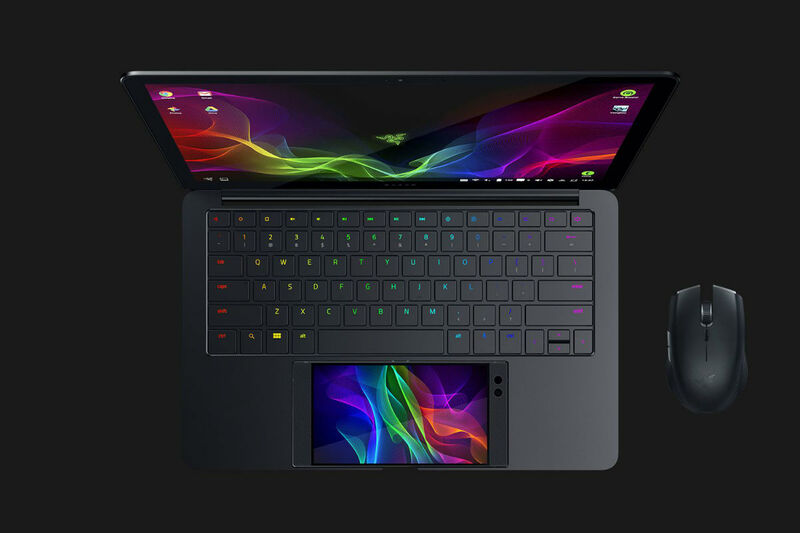 Project Linda is essentially a laptop dock for the Razer Phone, which turns the phone into your trackpad or interactive secondary display when a mouse is connected to the system. The laptop features a 13.3” Quad HD touchscreen display, Chroma-powered keyboard with custom Android keys, 200GB of internal storage, CNC aluminum body, 3.5mm headphone jack, and that appears to be about it. All of the computing power is from the Razer Phone itself, which is a Snapdragon 835 processor and 8GB RAM. Razer is showing off Project Linda here at CES as a concept, so we don’t yet have pricing or a launch date. Speaking of pricing, though, how much do you think something like this would cost? The QHD touchscreen and all those LEDs can’t be cheap, but Razer can’t go charging full laptop pricing since the Razer Phone is already a hefty investment and it powers the whole thing. Maybe $399? $499?